Ever try to hold a baby while wading in a pool? It’s like holding a squirmy and slippery (but adorable) fish who just won’t stay safely in your arms! And what about baby floats or inflatables for the pool? They’re simply not safe enough, especially when your baby is too little to properly sit up! TELL ME: How often do you have baby in the pool with you? Do you worry about his/her safety? Thanks to Beachfront Baby, though, I won’t have to worry about my slippery little fishy this year when I want to take him in the pool! They sent me their Beachfront Baby Sling to try out with my little guy who’s just over a year old now. Can be used in the shower, in the pool, at the waterpark, for a walk, etc. Comes in 10 fun colors! 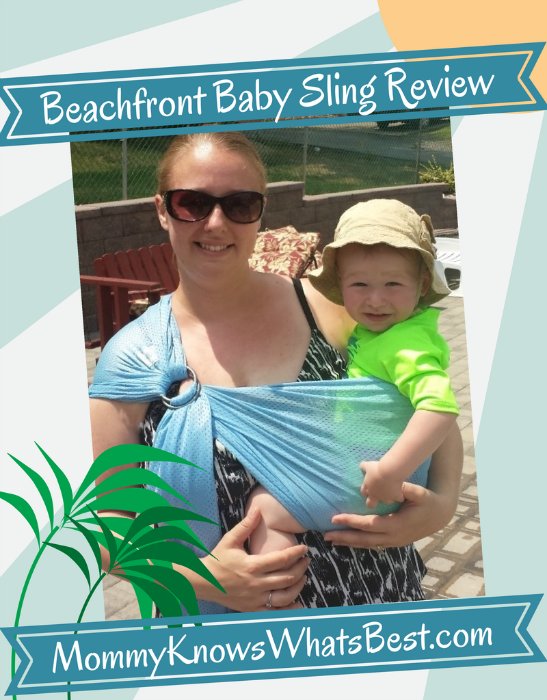 I can’t tell you how excited I was to find out I was going to review the Beachfront Baby Sling! After wrestling holding my two oldest kiddos in the water while they were babies or relying on sometimes unreliable baby floats , I was ready for a safer alternative. It would tire my arms out trying to hold them in the water just enough so they could enjoy the water, and the floats would not hold them up enough out of the water or they would start to tip if the baby leaned over. Not safe, and totally not fun for me or for them! I’m glad the rings aren’t plastic. The fabric is stretchy, and seems like it’ll dry fast, but also keep the baby cool. Since the baby is used to me babywearing, he had no problem when Mommy wanted to put him in this wrap. It was easy enough for me to figure out how to set it up just by following the instructions included with it, and the baby just slid right in. Since my baby is a little older than the baby in the video, I had him on my hip instead of a heart-to-heart position. He enjoys being able to look around and see what I’m seeing, so it works for us. He was also able to splash around in the water while we were in the pool. Easy to use. Once the tail is through the rings, there’s no need to re-thread unless you wash the sling. Also, it’s easy to put on and get the baby safe and secure. Hands free swimming. It was nice to have both of my hands free in case my other two kids needed help or wanted to play with us. Baby doesn’t have to be completely submerged in the water. The day we were in the pool for these photos, the water was a bit chilly, so it was nice to be able to just walk around in the shallow end of the pool and let the baby kick his feet in the water. When he did want to be in the water, I could kneel down and he could be in the water. Dries very quickly. 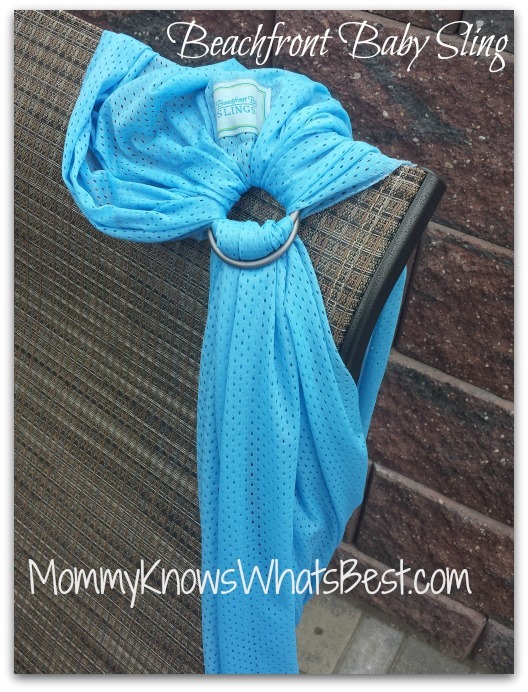 I draped the sling over a chair when we were done, and in minutes the sling was dry. I was able to fold it up and put it right in my pool bag before we left. I had to readjust the position of the ring multiple times, but I think it was user error. I didn’t see the above video until I started typing my review, and I think I’m going to try having the ring on my shoulder and then putting the baby in. Lesson learned! I definitely wish I had this with my older two kids! It was so much easier and safer being in the pool with the baby. Of course, my little bugger still wanted to wear a little ring around his middle to be like his big sister, but hey, whatever made him happy! He was secure in the sling, so it didn’t bother me at all. 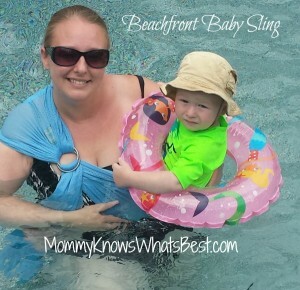 You can find the Beachfront Baby Sling on BeachfrontBabyWraps.com. Click here to find a retailer near you. 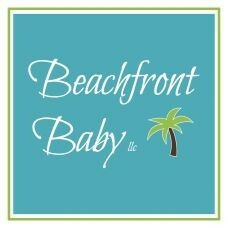 They also sell Beachfront Baby Wraps that are great for summertime fun! 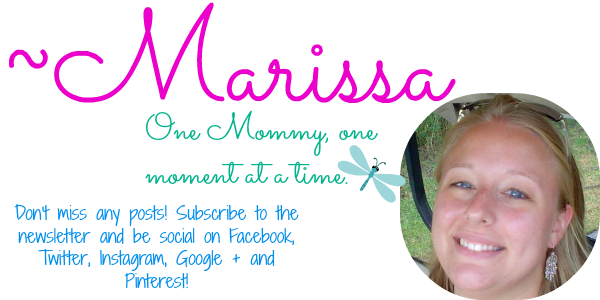 Beachfront Baby wants to offer all of my readers this awesome discount code for free shipping on our website for the month of July! 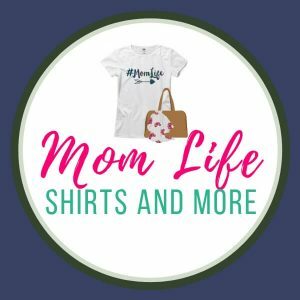 Use the code “Mommy Knows” for free shipping in the US and 10% off of shipping outside of the US. Have fun swimming with your baby this summer! I like the color and I love that it is light, and breathable for baby, seems like it wouldn’t make you hot. Also cool you can use it in the water. This is so cool! I wish I would have had something like this when my kids were younger. I need to share this with my sister. She could use one of these. Thanks for the review! This is a great device and I wish it had existed when my sons were little. I shall have to keep it in ind for the future grandkids. I’m giving my age here, but it’s been almost 25 years since I was in the pool like that with my “little guy”! You are so right about how hard it can be to hold onto a little one in the water. I sure wish I had one of those! But I’m not out of the market completely, I am very lucky to have several nieces and nephews expecting babies so I’ll keep in mind as a gift! I need oe of these! 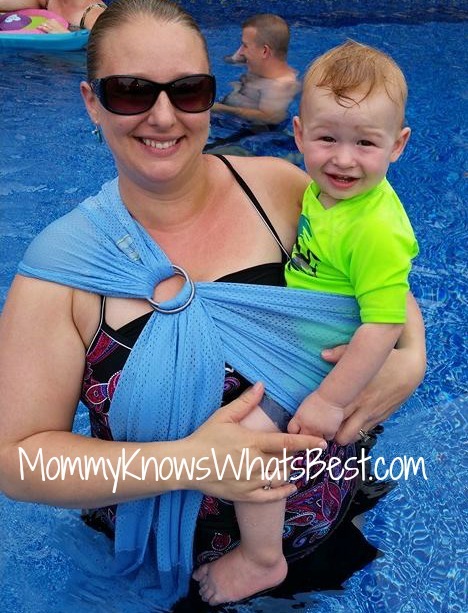 I have 2 that are 19 months apart, the pool is impossible without a sling for the 7 month old. I love the bright blue. These look like a great way to keep a baby close, happy, and safe in the water! I love the choice of colors, too! This is an awesome sling. I really like that blue color too! So cute!